About a month ago I announced an upcoming interview with illustrator Robert Dickson. My interview with Robert is the first in a new series called “Gibberish Asks,” and I hope to do more of them in the future. Robert likes to draw animal mash-ups, and we thought it would be fun to run a contest where my readers could suggest a pair of animals for Robert to combine in a drawing. I figured it would be a lot of fun to film Robert drawing while I asked him questions. It was cool watching his creation come to life, and I hope you enjoy this interview. 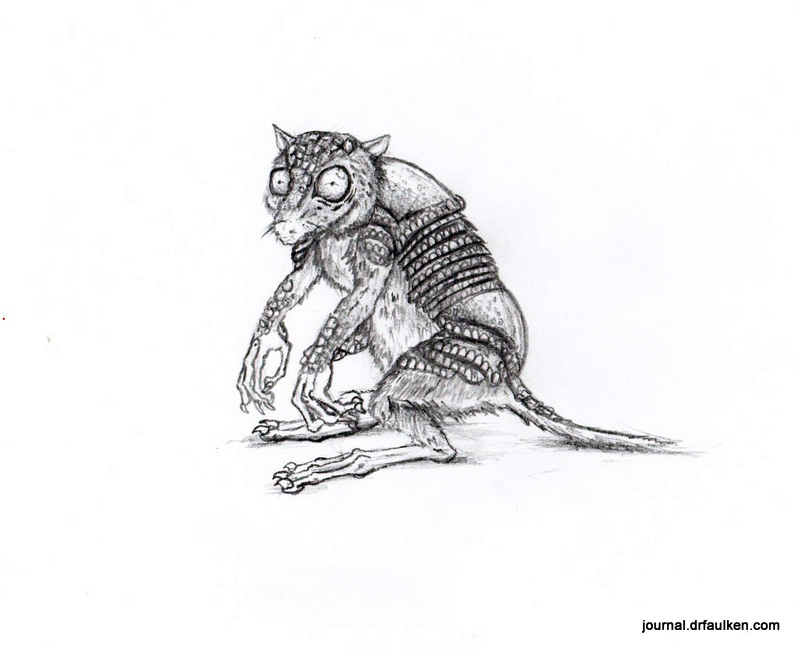 Congratulations to my reader Bond, who submitted the winning combination: Western Tarsier and a Nine-banded Armadillo. 1 Comment on "Gibberish Asks: Illustrator Robert Dickson"
OMG, that thing is awesome. I look forward to fighting it in a future MMO.